Find a list below of answers to frequently asked questions (FAQ) to our Membership Department. These questions relate to membership of the NMTF. You are welcome to contact us if you would like further information. What do I get with membership of NMTF? You can renew your membership of NMTF here or over the phone by calling 01226 749 021 and speaking to the Membership Department (office hours: Monday to Friday, 9am to 5pm). 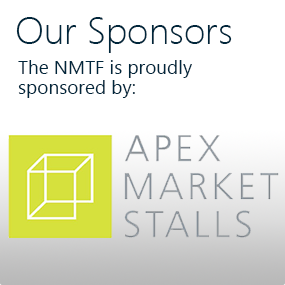 Download a leaflet about NMTF membership here (PDF, 726KB). Who can join the NMTF? 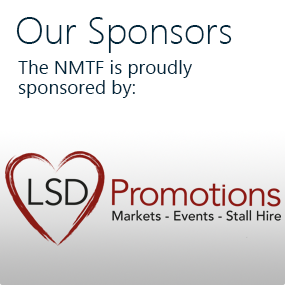 Founded in 1899 as the National Market Traders Federation, the NMTF incorporated in July 2016 to become NMTF Ltd. Our Articles of Association state that market and street traders, events retailers and mobile caterers that trade in market-type businesses will be admitted to membership of the NMTF. What’s important for us is how you get your products in front of customers – your trading model, if you like. 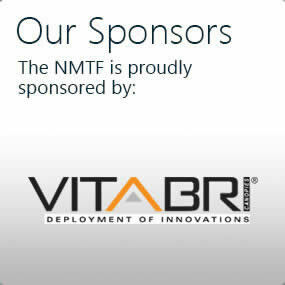 If the main way you do business is by selling direct to customers, person to person, over a table, stall or through a serving hatch; and you do this on an itinerant basis, traveling from place to place – you’re welcome to join the NMTF. If the main way you do business is by selling direct to customers, person to person, from a fixed unit in an indoor or outdoor market – you too, are welcome to join the NMTF. We are unable to admit applications to join the NMTF from businesses trading from shop units. NMTF membership is personal, but covers the business you’re involved in and the annual fee is based on the legal structure of your business. Most people register as a sole trader, a partnership of a limited company. Find guidance on legal structures here. You need the correct membership for your business. 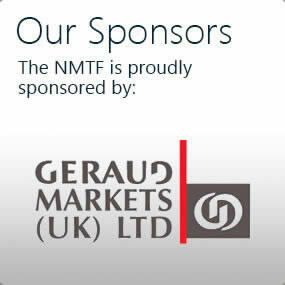 If you want to join the NMTF but you’re struggling to class your main trading activity as that of of a market or street trader, events retailer or mobile caterer, contact us on 01226 749 021 or genoffice@nmtf.co.uk (Monday to Friday, 9am to 5pm). It’s always worth asking and we’re happy to talk with you about your business. After speaking with you, we may ask you to send us some photos of your stall or unit to help us to decide your eligibility to join the NMTF. How much does membership of the NMTF cost? The subscription rates for membership of the NMTF are decided annually by the directors of NMTF Ltd.
Business partners must be added to the same membership. 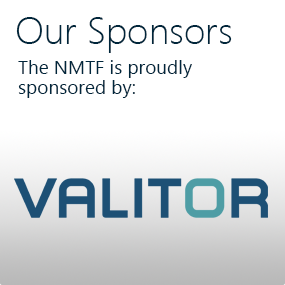 This allows complete access to the range of services provided by the NMTF. All business partners must be named to ensure that the business is covered under the public, product and employer’s liability protection for members. In the case of a limited company or limited liability partnership, every director of the business must be a member of NMTF. Payment of the appropriate subscription fee is a request for immediate access to membership. Therefore, subscription fees are non-refundable and non-transferable. For more information, contact the Membership Department by telephone on 01226 749 021 or email genoffice@nmtf.co.uk (office hours: Monday to Friday, 9am to 5pm). How can I pay for membership of the NMTF? NMTF accepts Visa, Visa Debit, Visa Electron, MasterCard and Solo. American Express cards are not accepted. Maestro is not accepted online but can be used to pay over the phone. Members can renew their membership annually by DIRECT DEBIT. Members who pay by Direct Debit receive a discount of £5 from their subscription rate! Two weeks’ notice is required before a member’s expiry date to set up a Direct Debit. For more information, contact the Membership Department by telephone on 01226 749 021 or email at genoffice@nmtf.co.uk (office hours: Monday to Friday, 9am to 5pm). Can I pay for membership of NMTF in instalments? No, membership of the NMTF cannot be paid for in instalments. This is to ensure that all members of the NMTF receive the same level of service. Crucially, this avoids potential fraudulent use of the NMTF’s public, product and employer’s liability protection for members. Can membership of the NMTF be in a company name? No, membership of the NMTF is personal but covers the business you’re involved in. If business partners are not members, they will be refused access to services provided by NMTF, which includes public, product and employer’s liability protection. How long does membership of the NMTF last for? Membership of the NMTF is annual and runs for 12 months. However, you may notice your expiry date is slightly different than this. On your expiry date, your inclusion under the liability protection for members of NMTF is temporarily lifted – it is in your best interest to renew before your expiry date. If you do not renew your membership within 28 days you will become lapsed. Renewal after this period means there is a break in membership from your date of expiry to your date of re-joining. When you renew before you become lapsed, 12 months are added to your original expiry date so in another year, we can remind you in enough time to renew your membership. How long will it take to get my NMTF membership card? Whether you join the NMTF over the phone or online a welcome pack will be with you within 3 to 5 working days. This welcome pack will include your membership card, a stall sign and all the information you need to know about your membership of the NMTF. What is my proof of liability insurance with membership of the NMTF? A membership card is proof of public, product and employer’s liability protection for all members of the NMTF (look at the reverse of your card). We do not issue individual insurance certificates or policies. This is because the NMTF is a trade association and not an insurance company – we are not regulated by the FCA. However, if an operator requires further proof of liability protection, an indemnity letter can be provided on request. Replacement membership cards are issued at a cost of £15 per card. Both can be supplied by the Membership Department. Please call them on 01226 749 021 or email genoffice@nmtf.co.uk (office hours: Monday to Friday, 9am to 5pm). Do I receive an employer’s liability certificate? Yes. This is inserted into the December edition of Market Times, the bi-monthly magazine for members of the NMTF. Please note the date on the certificate refers to the employer’s liability policy for all members of the NMTF, which runs from December to December. It is not personal to you. The employer’s liability certificate is for display purposes only. It is not proof of your membership of the NMTF nor is it proof of public and product liability protection. Traders who display the employer’s liability protection for NMTF members who do not have an active membership of the NMTF are not protected by it. Replacement certificates are supplied free of charge on request through the Membership Department. The Membership Department can be contacted by telephone on 01226 749 021 or email genoffice@nmtf.co.uk (office hours: Monday to Friday, 9am to 5pm). What is my individual policy number for public and product liability insurance? You don’t have one. Public, product and employer’s liability protection is a blanket policy for all members and individuals are covered as long as their membership has not expired. If an operator is demanding a letter of indemnity, these can be supplied on request through the Membership Department. How can I cancel my membership of the NMTF? We hope members will never have to cancel their membership of the NMTF. However, we understand that in some cases, such as retirement or bereavement, that membership of the NMTF needs to be stopped. Please note that the subscription fees for membership of NMTF are non-transferable and non-refundable. I wish to make a complaint about the NMTF, what do I do? Write to Joe Harrison, Chief Executive, either by email to enquiries@nmtf.co.uk or by post to: NMTF Ltd, Hampton House, Hawshaw Lane, Hoyland, Barnsley, South Yorkshire, S74 0HA. Supply the following details: Your membership number, date(s) the incident occurred, person(s) and/or organisation(s) involved and a brief description of the complaint. Complaints will then be distributed to appropriate senior management and you will be contacted within five working days to discuss your complaint and reach a resolution.